With October being National Breast Cancer Awareness Month, I was so excited to be part of an event for this cause. 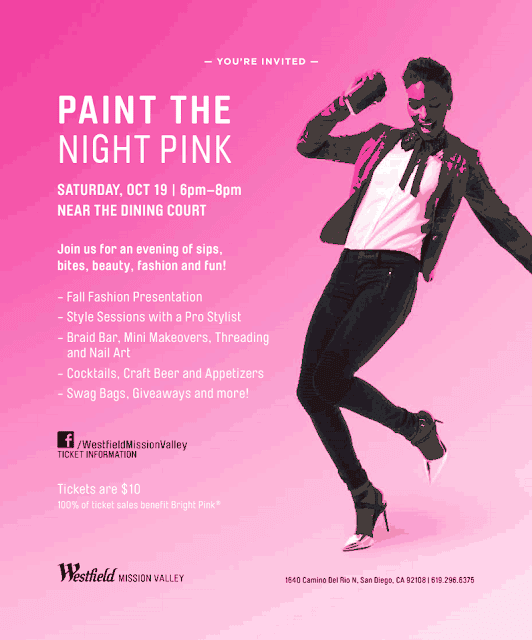 On Saturday, October 19th from 6-8 PM, Westfield Mission Valley is hosting “Paint the Night PINK” a not-to-miss fall fashion soiree celebrating exciting fall fashions in their Dining Courtyard (1640 Camino Del Rio N. San Diego, CA 92108). All proceeds will be going to Bright Pink, a national non-profit organization focusing on the risk reduction and early detection of breast and ovarian cancer in young women while providing support for high-risk individuals. 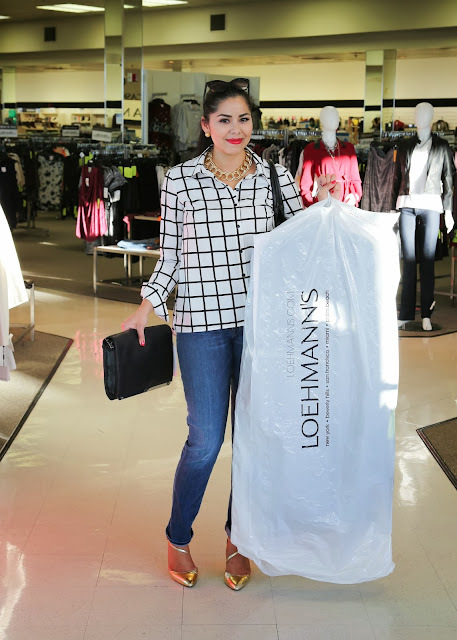 Fashion Group International Style Bar with expert personal fall styling recommendations and mannequins styled by bloggers like yours truly. Complimentary beauty services including: chic nail art, make-up application, braid bar and eyebrow threading. PINK cocktails by Rumbling Tins Co.
Gordon Biersch bites and craft beers. Up for grabs is a $100 gift certificate to Westfield Mission Valley and 2 admission tickets to this "Paint the Night PINK" event. To enter, simply use the Rafflecopter below. Points are earned with each social network of mine & Westfield Mission Valley you follow (if you already follow me on some just put your username). The more ways you follow, the better chance you have of winning this amazing prize! This Giveaway will run until October 16th and is open to San Diego area residents 21+ years of age. Winner will be announced and contacted shortly thereafter. Good Luck!